There I am, enjoying a nice meal, and now I’m upset at another smug male sexual predator. Later in the day their scripted apologies echo in my head, producing the most annoying form of writer’s block. But after a sip of water and a few deep breaths, I remind myself that things are improving. Women seem to be slowly but steadily attaining positions historically reserved for men only. We now have more women CEOs and more women in government. Today, more women than men graduate from college. Mainstream media is finally paying serious attention to the plight of harassed female employees. Now it’s time to create a federal holiday honoring a woman. What some may consider pure symbolism can have a huge impact on the public psyche in general, and our attitudes toward women in particular. Think of it: Christopher Columbus gets a special day, and all he did was “discover” a continent that had already been inhabited for thousands of years. He wasn’t even an American. If that’s the measuring stick for days of remembrance, let’s have an annual celebration for a woman whose achievements created a billion times more positive impact than that of the Italian sea explorer. We have so many worthy candidates: Harriet Tubman, Rosa Parks, Maya Angelou, Sojourner Truth, Dolores Huerta, Elizabeth Cady Stanton, and countless others. It’s not for lack of trying. President George H.W. 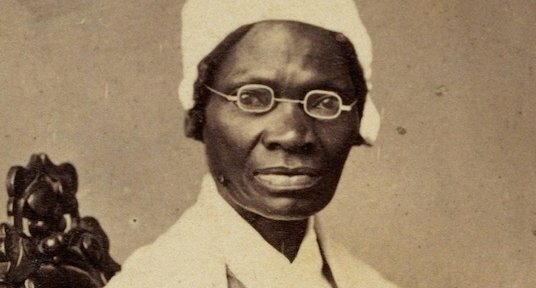 Bush proclaimed March 10th as Harriet Tubman Day, but only congress can enact a federal holiday. They didn’t bother. In that light, Harriet Tubman Day essentially enjoys the same level of public awareness as National Taco Day, National Day of Unplugging, National Donut Day, and Thank A Teacher Day. Susan B. Anthony Day is a commemorative holiday in six states, but it never rose to the ranks of a federal holiday. Congress couldn’t pass the bill. Both of these potential holidays, I suspect, weren’t shut down by corporate lobbyists, or by other outside influences that typically slow the wheels of the legislative process. It’s because men still dominate the chambers of government, just like they still rule the majority of the boardrooms in corporate America. Currently, we have 105 women out of 535 members of Congress. We have 21 women out of 100 members in the Senate. Considering the slow pace in which our nation doles out equality to women, that’s progress of a sort. There were 85 congresswomen in 2007 and the amount increases each year. But female legislators still remain a minority, which makes it easy to connect the dots between an inadequate number of female representatives and lack of a federal holiday for a woman. If the statistics I mentioned were reversed, chances are we’d have an official Helen Keller Day. Maybe even a Billie Holiday Day. I don’t have an ulterior motive to get another three-day weekend on the calendar. Being self-employed, there’s no such thing as a regular work schedule. Besides, I barely get invited to holiday barbecues anymore. My point is this: We need a day where the entire country pays tribute to a woman. It’s a disgrace that we don’t have such a thing. And sorry, putting women on postage stampsdoesn’t quite have the same affect. At the root, holidays celebrate our most cherished ideals, and ideals have the power to shape our character. Consider Mother’s Day. Each year, on the second Sunday of May, we might visit mom, make a call, send her a card a few days prior, or do some video chatting. Whatever we do, we ultimately reflect on the most precious woman in our lives: The lessons she taught, the sacrifices she made, how the best in us came from the best in her. The same dynamic would come into play with, say, a Clara Barton Day. But that’s only possible with a federal Clara Barton Day because federal holidays have more marketing reach. Everyone would pay attention at the same time. The media would cover the speech delivered by the president. In school, children would learn about the heroine the week of the holiday. A holiday won’t erase sexual harassment or eliminate gender inequality overnight, but it’s another step in the right direction. If anything, it’s the right thing to do.